PNOC Renewables Corporation (PNOC RC) is included among the Top 10 Government-Owned and Controlled Corporations (GOCCs) for 2018. In the Exit Conference on the Corporate Governance Scorecard Results organized by the Governance Commission for Government-Owned and Controlled Corporations (GCG), the results of the GCG appraisal of GOCC performance in relation to the internationally-accepted Corporate Governance Scorecard was presented. The said event was held on 7 March 2019 at the GCG Training Room in Makati City and was attended by the representatives of the various GOCCs. The PNOC Renewables Corporation and the Philippine International Convention Center (PICC) officials joined together in a momentous occasion before the year ends to inaugurate the Solar PV Rooftop Project for the PICC. Held on 28 December 2018 at the Summit Hall Delegation Building, the event is one of the highlights of PNOC RC’s energy efficiency program for government agencies, and their most significant accomplishment in terms of scale. This is the largest rooftop solar PV system that PNOC RC has installed as of date, showcasing it on the world-class facility for global conventions and exhibits of the PICC. PNOC Renewables Corporation (PNOC RC) partnered with the National Irrigation Administration (NIA) through the signing of a Memorandum of Agreement (MOA) for the Development and Implementation of the One Megawatt (1MW) Agno River Irrigation System (ARIS) Mini Hydropower Project located in San Manuel, Pangasinan. The agreement was formalized by top officials from both agencies on July 12, 2018 at the NIA Central Office in Quezon City. PNOC RC was represented by its President and CEO John J. Arenas. NIA on the other hand was represented by the Administrator, Gen. Ricardo R. Visaya (Ret.). The MOA signing was witnessed by PNOC RC Vice President for Legal and Corporate Affairs, Atty. Josephine Cassandra J. Cui and NIA Senior Deputy Administrator Gen. Abraham B. Bagasin (Ret). The site inspection with the prospective bidders for the Mariano Marcos State University (MMSU) Solar Rooftop Project in Ilocos Norte will be postponed to September 25, 2018 to give priority to the disaster recovery efforts brought about by the typhoon Ompong. 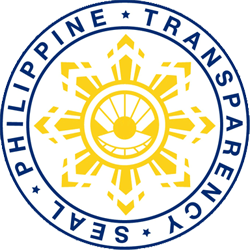 The Integrated Government Philippines (iGovPhil) Project is an essential element in the implementation of the e-Government Master Plan of 2013-2016, which aims to improve processes in government to provide better services to both citizens and businesses, as well as promote public participation. This project, which is being managed by the DOST-ICTO and DOST-ASTI, is tasked to provide the necessary infrastructure and software needed for e-governance. The infrastructure includes the creation of data centers and layout of fiber optic networks to interconnect government offices and provide high-speed communication and sharing of tasks and data. Software includes online tools, services and applications for use by government agencies and citizens.